This is the time of year when the blueberries are in season. July is the national blueberry month. Blueberries are in season during the month of July and here is a collection of fresh blueberry recipes you must try. Every year when the blueberries come into season I always want to make fresh blueberry recipes. 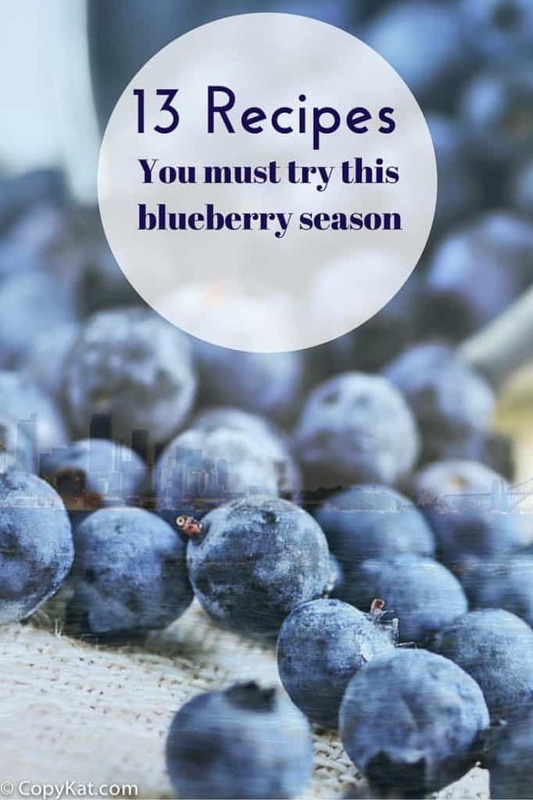 Blueberries are typically in season from late June through August. Before we get to the sweet dishes I have a couple of savory dishes you don’t want to miss. Cheese toasts with wild blueberries.. Thick Cut Pork Chops with Blueberry Salsa – Thick grilled pork chops have never tasted so good until you add a fresh blueberry salsa. Easy Red White and Blueberry Salad – This gluten-free salad is low in carbs and perfect if you are following a low carb diet. 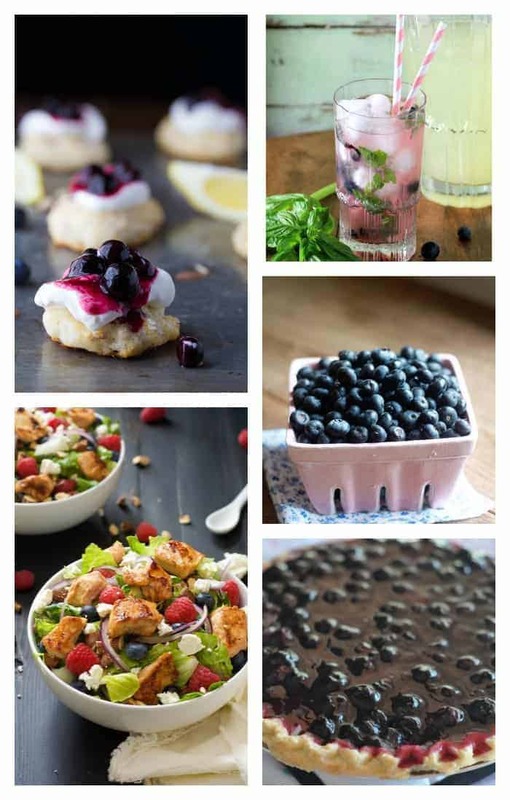 Blueberries are versatile you can use them in many different beverages. Blueberry Basil Lemonade – This lemonade is complex and perfect for when you need to serve a mocktail or a beverage to a crowd where you have non drinkers. Blueberry Apple Basil Smoothie – Are you looking for a recipe that makes a good breakfast, this recipe is for you. Finally the sweets, who doesn’t love blueberry dessert recipes? Blueberry Almond Shortcakes with Lemon Whipped Cream – These little almond shortcakes are the perfect dessert to serve when you have company or you want to something special to serve to your family. Cinnamon Blueberry Overnight French Toast – Looking for the perfect weekend breakfast? This is the breakfast you will love to serve to your family. Blueberry Cream Cheese Pie – if you are a fan of blueberry cheesecake you will adore this pie. Sour Cream Blueberry Pie – the tartness of sour cream and the sweetness of blueberries taste like they were made for each other. Blueberry Pecan Rugelach – Rugelach has never tasted so good. The roasted pecans and fresh blueberries taste so good. Blueberry Meyer Lemon Marmalade – looking for a recipe you can give prepare and give as gifts? This blueberry Meyer lemon Marmalade has a refreshing flavor with the sweetness of the Meyer lemons.